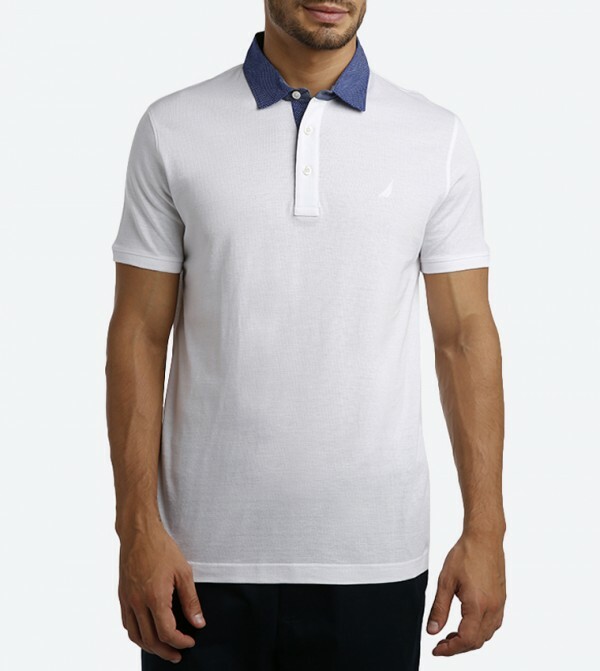 Add something classic to your collection of basics in form of this white colored polo T-shirt from Nautica. The classic collar and the contrast colored brand logo printed on the left chest are the main highlights of this Shorts sleeved T-shirt. 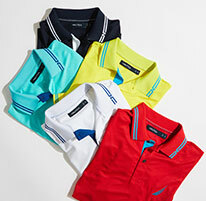 Made from a blend of cotton, this regular-fit T-shirt offers great comfort and stretch ability as well.